Five Hand Jacks or Better is a NetEnt video poker game that offers a variation on five card draw poker. The main variation in the single-player game is that a pair of Jacks forms a winning hand. Basic gameplay requires players to either hold or discard cards which are dealt virtually. The game features online slot-style controls, and is available in a range of playing formats. It can be downloaded or played in browser, and it can be played for free or for real money. 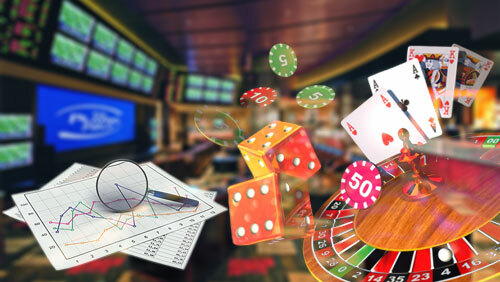 The game is designed so that everything players need is all on one screen, including the cards, game controls, betting options, and the pay table. At the start of a game of Five Hand Jacks or Better, players will need to choose a bet amount from the available range using the controls on the interface. Next, players will need to decide whether they want to play with one, five, 10, or 25 hands. When players have chosen their desired settings, they will need to select the green Play button in the centre of the game control panel. Selecting that button will see the first hand of five cards dealt. Bearing in mind that a winning hand can be formed by just two Jacks, players will need to decide which cards to hold, and which to discard. Players will need to select the Hold button below the cards they want to keep. If the first hand contains cards that form a Five Hand Jacks or Better winning hand, those cards will be held automatically, giving players a chance to improve the strength of that hand. When players have chosen the cards they want to hold, they will need to select the green Play button again. The cards they have not held will then be replaced with new cards, and the software will then compare that hand with the pay table on the left of the screen. If players have managed to form a winning hand, they will be paid out according to the pay table. Click the round green button at bottom centre to get things started and receive your first five cards. Hold any you want to keep and then click the green button again to get the replacements. Any winning cards will be held automatically for your convenience. While players need at least a pair of Jacks to win, that is not the game’s highest paying hand. For that, players would need to form a Royal Flush, which are five cards in sequence from 10 to Ace. Five Hand Jacks or Better doesn’t come with any special features directly linked to gameplay. However, it does have an optional Gamble feature. The feature can only be selected when players build a winning hand. In the feature, players will need to guess the colour of the next card to be drawn. A correct guess will double players’ winnings, and give them the opportunity to play the feature again. Leading software developer NetEnt has produced in Five Hand Jacks or Better a video poker game that is visually appealing and features smooth playing action. The game’s return to player rate is in excess of 96 percent, and all game results are produced by a certified random number generator.